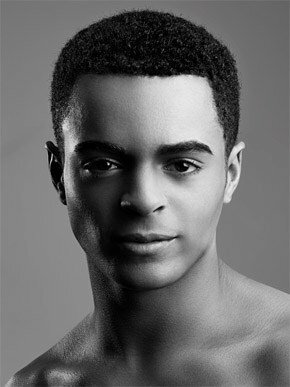 Layton Williams is best known as one of the boys who played the title role in Billy Elliot the Musical in London’s West End and as the character Kylie in the BBC series Beautiful People. Layton starred alongside Jack Whitehall as a lead in the critically acclaimed BBC comedy Bad Education. He has just finished filming the follow up film to the series which will be hitting the silver screen this summer. Layton is currently on stage on tour with Matthew Bourne’s stunning show The Car Man. He will then be returning to the stage to the much loved Hairspray the Musical. Layton is a strong supporter of charities, Stonewall and Ditch the Label. Layton recently took time out to answer a few questions about his career. It is some time ago now, but how did playing the lead role in Billy Elliot influence your career? Billy Elliot was the beginning of everything for my career. It was my first professional job and helped me realise what my passions were. It opened up so many doors for me and I feel very privileged to have been a part of such an amazing show. We celebrated the 10th birthday this year and the announcement of a UK tour. You are currently touring with Matthew Bourne’s The Car Man. What do you enjoy most about being a part of the production? I absolutely love Matthew Bourne’s ‘New Adventures’ company. My fellow cast are a dream to work with. They’re an incredibly talented bunch, I’ve never been so in awe of such a large group of people at one time! Sharing the stage and working with the team behind The Car Man is such an amazing experience. The feeling of euphoria hasn’t yet fizzled… Let’s hope it never does. My ‘likes’ are getting to travel and see places that I wouldn’t ever have the chance to visit. Seeing the world whilst being paid to do what you love is a dream come true. The ‘dislikes’ for me is the constant packing. I can never fit everything I want in one suitcase! If I had a car, my boot would literally be my travelling wardrobe, but unfortunately I can’t drive. When I have time to learn, things will change and touring will be a win win!!! Your next major role is in Hairspray the Musical. What can you tell us about it and what are you looking forward to most about the show? Hairspray is a feel good show with a really solid story and an important message. I’m all for equality when it comes to colour, race, sexuality and size, so I’m SO excited to do this show as its everything I believe in and more. I’m also really looking forward to doing musical theatre again. It’s been such a long time so I can’t wait to get stuck in, it’s going to be a refreshing challenge. Away from the stage what do you like to do most to chill out? I’m not really a ‘chill out’ kind of guy… When I’m not on stage you can find me partying with friends in London or visiting my family in Manchester.